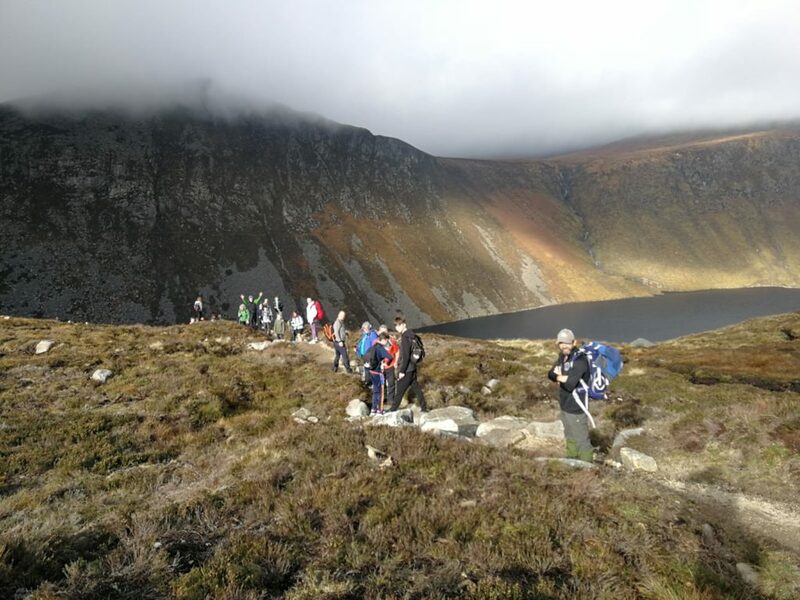 The Ramble Club was established in 2016 and has successfully engaged all year groups in hill walking activities. Excursions include; Annalong Valley, Blue Lough, Doan, Ben Crom Reservoir, Hare’s Castle and a 12 mile walk along the North Coast. Staff, pupils and parents have the opportunity to share an appreciation for the unique countryside of Northern Ireland. There are different levels of capability required and we try our best to ensure everyone is catered for. There is one residential and typically 6 Rambles during the academic year. The activities are funded by Extended Schools Program. The ramble club meets on a Saturday. For more information, including info on the next trip speak with Mrs Norton.